Timberwall Landscape & Masonry Products, Inc.
From the Palace of Versailles to your doctor’s office or farmhouse, landscaping is an important part of an establishment’s visual impression. We believe it ought to be beautiful, thoughtful, and well done. Always. As a family owned and operated business, we are dedicated to bringing you heart-felt smiles and genuine customer service as we assist you in finding the garden & landscape supplies you need. 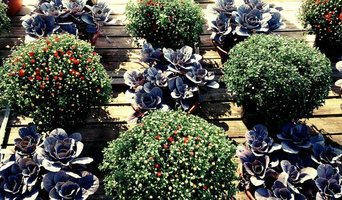 Potted Trees & Shrubs: Small to Medium Container Size $15 - $250. Potted Trees & Shrubs Large Container Size: $250 - $375. Ball & Burlap Trees: $250 - $800. 1 Gallon Perennial Plants: $4.99 - $29.99. Bulk Mulch: $29 to $49 per yard. Bulk Black Dirt: $10 to $39 per yard. Landscape Rock Varieties: $40 - $110 per yard. Welcome to your local family owned Garden Center & Gift Store! We are a retail Garden Center & Gift Shop and we carry an extensive line of landscape supplies and unique one-of-a-kind gifts! We also offer a competitive contractor rate for other local landscapers. From tree installs and full lawn care, to patio tomato plants, annuals and iron art, we truly are a one-stop-shop! Please stop in soon to meet us and see what kind of local MN charm our store has to offer! Please stop by and meet us today! Leading manufacturer of artificial trees, plants, flowers, flower arrangements, topiaries and palm trees for indoor and outdoor use. VERSA-LOK® Retaining Wall Systems has been creating Solid Solutions™ for architects, engineers, contractors and homeowners since 1987. Our solid, pinned segmental retaining wall units have set the standard for performance and versatility in retaining wall design and construction. Tall walls, curves, corners, stairs, columns and freestanding walls all can be built with VERSA-LOK units, lending a consistent appearance to projects that include these features. If you can design it, you can build it with VERSA-LOK. Ideal Garden Markers- provides sun-resistant, weatherproof and durable plant markers, garden plant labels, engraved nameplates, plant stakes, paint pens and more. Thomas Tree and Landscape is a family owned and operated business founded by Jim and Jane Thomas in 1986. From the beginning, our hard-working staff has been dedicated to working as a team to create one-of-a kind landscapes for our valued customers. As the landscape industry has evolved over the past 25 years, we have proudly stayed on the cutting edge of new materials, installation techniques, designs, and software, allowing us to become one of the largest design/build landscape companies in the Mankato surrounding area. We specialize in using a wide variety of natural stone landscape materials to achieve the unique look you have been searching for. We take pride in our creativity, customer service and quality products. We realize that landscaping can be a large investment in a property, so perfection is always our employees' number one goal when it comes to design, installation or maintenance for your residential or commercial property. Since 1986, Keystone Retaining Wall Systems LLC has set the worldwide standard for excellence and innovation in the hardscapes industry. As the first US segmental retaining wall company, Keystone has grown its product portfolio to include not only the best structural retaining wall solutions, but also the most innovative and attractive landscape and do-it-yourself products. 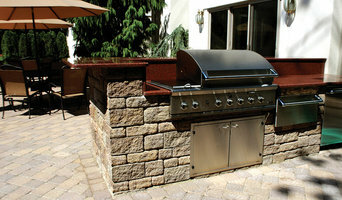 Keystone products are produced by a global network of the finest hardscapes manufacturers. Visit "Where to Buy" to connect with your local Keystone producer and confirm regional product availability. 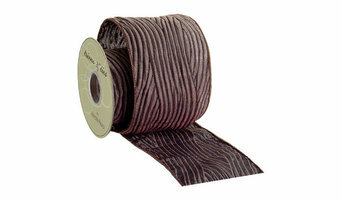 The Deck Store in Apple Valley, MN is the most trusted source for Deck supplies, installation, information, and advice. Everything you need to complete your deck is available on our website: www.thedeckstoreonline.com or stop in our showroom. 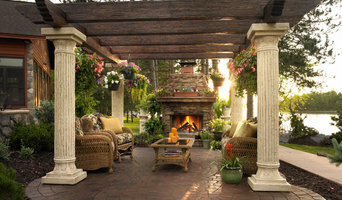 Wissota Outdoor Living has everything you need to transform your backyard or patio into the perfect outdoor room today. Centrally located in Burnsville, we are proud to offer the best sale prices in all of the Minneapolis - St. Paul MN area, and will beat any price in the state of Minnesota, guaranteed! All of our products are manufactured by The Outdoor Greatroom Company right here in the twin cities as well! Choose from our large selection of outdoor gas fire pit tables, outdoor gas fireplaces, pergolas, custom outdoor kitchen islands, outdoor patio furniture, electric fireplaces, and more! If you’ve been dreaming of a beautifully landscaped property with a water feature or a concrete fire bowl but don’t know where to start or what landscape supplies to buy, it may be time to look into garden and landscape suppliers in your Minnesota area. From retaining walls to raised garden beds, these professional vendors can make your backyard the oasis you’ve been longing for. What’s more, many of these professionals can help you take your ideas from design to installation and provide garden care and yard maintenance according to your Eden Prairie, MN climate. Here are some related professionals and vendors to complement the work of garden & landscape supplies: Landscape Contractors, General Contractors, Landscape Architects & Landscape Designers. What if you would love to grow your own vegetables but have site limitations? Many garden supply companies offer planters and containers that are up to 42 inches tall. For those who live in colder climates, consider a greenhouse — just the thing to enjoy starting plants or growing exotic blossoms that wouldn’t quite work in your Eden Prairie, MN climate. Find garden and landscape supplies on Houzz. Search the Houzz Professionals section for Eden Prairie, MN garden and landscape supplies. Browse photos and read reviews. You can also explore full-service Minnesota landscape architects and garden contractors.